Pansy is basically a flower which is big in size and is often known as a hybrid flower. The flower comes in different colors and is often found in various parts of Europe. Pansy is basically a garden flower whose scientific name is Melanium and is often found in Europe and various parts of Western Asia. The flower has a diameter of two to three inch long. It has slightly overlapping upper petal, two side petal, and a single bottom petal in its side. The plant often grows up to nine inch in height and it often prefers sunlight for its growth and well draining soils. Pansy flower are often used for edible purpose so it is known as edible flower by nature. Individual needs to break the two of the cardinal rules of this flower and need to eat the petals and before eating need to remove the pistils and stamen. Some of this flower has delicate fragrance especially the blue one. This flower has mild winter green flavor. Apart from this the flower can often be used in cream cheese of a plain cracker. Often it is used for decorative purpose especially for decoration of wedding cakes, or simple sheet cake. It is often used for preparation of candies. Beside this the flower in its young stage are edible. Last but not the least this flower can be fried and can be ate with preparation of egg. The pansy flower often used to cure wide variety of illness. It can be used as an expectorant which is helpful for curing various type of chest problem including that of bronchitis, asthma, whooping cough, dry coughs, and treatment of lung inflammation. The flower often acts as demulcent which treat problem of mucous, painful coughs, and often remove pain of lung inflammation. Beside this it purify blood and remove skin eruption problem especially within children. Often it removes toxic of individual body which causes skin problems including that of acne. In addition to this it promotes flow of urine, expel toxin and remove waste by increasing the flow of urine. Apart from this it reduces fever. 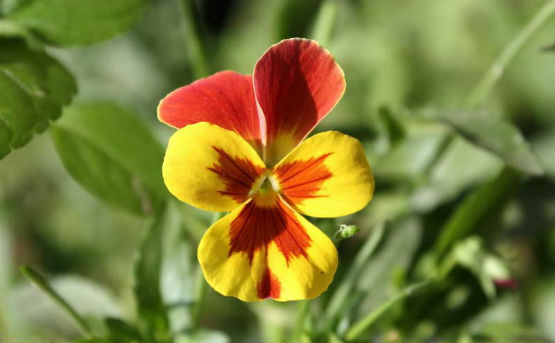 Pansy helps to combat problems of arteriosclerosis by improving the blood flow. The flower treats wide range of skin diseases. It is often used in wide range of lotions which help to treat skin diseases. It treats wounds, scabies, boils, itching, rashes, and curing problem of eczema. It is also used to treat skin problem within infant. When boiled with milk it effectively treats problems of cradle crap. Last but not the least heartsease often treat diaper rash. 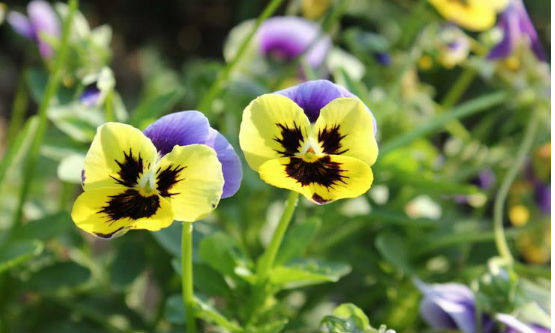 In conclusion it can be said Pansy Flower often used for wide range of purposes ranging from that of culinary dishes, as an insect repellant, and also for treating both skin and harmful illness. It should be kept in mind that high dosage of it may cause problem of skin irritation, nausea, and problems of vomiting.